When Paul came out of boot camp, he had picked up the habit of eating fast. Audrey would tease him about it and encourage him to eat slower. One day this happened during a meal with Audrey’s mom and she said the phrase ‘savor it’. After hearing that, we both started telling each other to ‘savor it’ during meals and it quickly became an inside joke between us. One day during a meal, while we were talking about the idea of having a bus, Paul suddenly said “we should call it Savor It”. 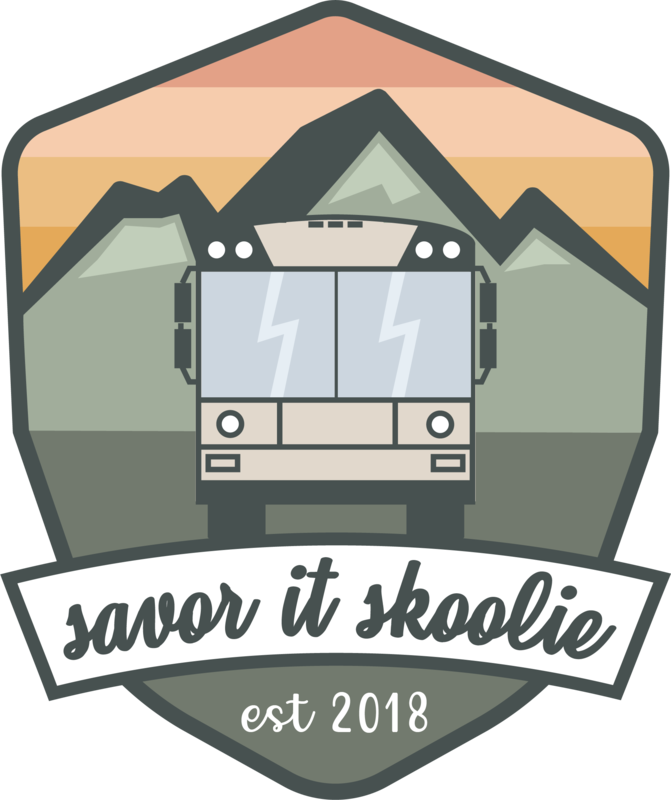 While it started partly as a joke, we have really come to look at ‘Savor It’ as a bigger part of this adventure than just the name of our bus. Our desire is that through the experience of converting and living in our tiny home, that we can live simply and really make the time to enjoy life. Savoring it.